The all-purpose design makes this model is suitable for snowshoeing, kayaking, swimming, etc. When it comes to travel gear, perhaps very few types of equipment can match up to the utility and effectiveness of dry bags. As you may already know, venturing into the wild can bring with it a lot of problems that include uneventfully ruining all your electronic items. This is why you must be prepared to face extraordinary circumstances that would challenge your mental state to its very limits. Having a SealLine Baja Dry Bag in such a situation will definitely make life a lot easier not only by providing much-needed protection for your essentials, but also giving you the support needed to carry on doing a lot of other tasks. I can personally vouch for these products as I have been using them for a long time now and my experience with them has been thoroughly positive. So, what are exactly the features that make a SealLine Baja dry bag such a remarkable product? Well, keep reading on to find out the beneficial features and why you should consider buying it. Sturdy Built and Reliable Protection: If you’re a nature lover or live for the thrill of adventure, then this dry bag will be your best friend through many conditions. Be it extreme temperate zones or spine chilling cold, heavy rain on top of the hills or scorching deserts, you can count on this bag to do its job. Even though a dry bag’s purpose is to keep your stuff protected from water damage, this one is sturdy enough to even act as a protective gear. Yes indeed; this is one such dry bag that can act as a pillow, a wash bucket, storage for carrying ﻿﻿wood to camping ﻿﻿sites, and many other purposes. How is this possible? Well, it’s all because of the sturdiness that SealLine has imbued in this model. 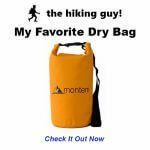 Excellent Portability: If you’re looking for a dry bag that is easy to carry and falls into a small form, then look no further. Since this product is meant to be used by travelers, the company has taken extra care to ensure its sturdy yet light, capable but not too big in size. This is an all-purpose reliable protection for your gear as it comes with watertight seal that is near impossible to penetrate. You’ll find this product in sizes up to 55L and going as low as 5L. Affordable: People only buy what they can afford, and this bag may be out of budget for most. Relax, just focus on finding out what size dry bag you’d need and we can say for certain that you’ll find a dry bag that is not beyond your reach. 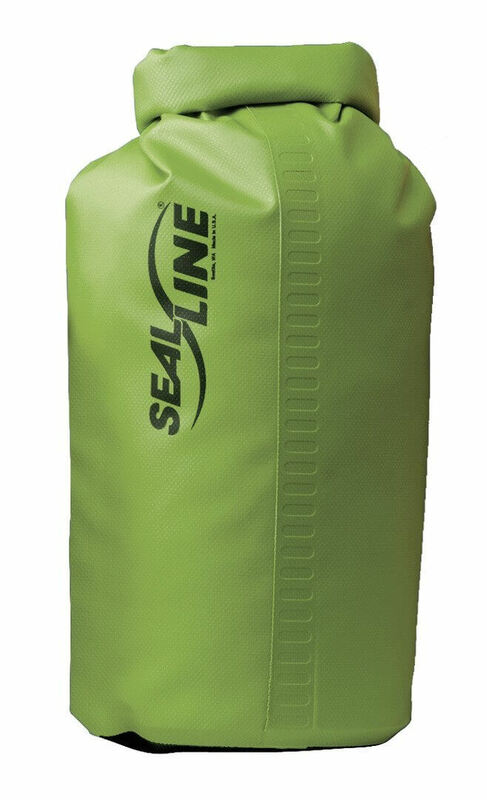 SealLine Baja Dry Bags are available in many different sizes for people with different requirements and all of them are priced accordingly. Throw away your worries of spending too much on travel gear, because there won’t be any need of it. Brand Value: Nothing is perhaps more important in the field of travel gear than the reputation of the company making it. This is why you should only just a reliable brand and not some off brand product in the market that’s only slightly cheaper. The last thing you’d want to experience while on the road is your dry bag failing its purpose, with you having no options to deal with the problem. Luckily, you can put your faith in SealLine because the company has the necessary experience and expertise to make dry bags. With over 500 reviews and an average rating of 4.6/5 stars on Amazon.com, this dry bag is undoubtedly a superstar in its own right. Scrolling down the page, you’ll see hundreds of positive reviews coming from people who have used this bag for a variety of purposes. SealLine Baja Dry Bag is undoubtedly a product more than worth its price for reasons encompassing durability and visual appeal. You can also buy this in different sizes that best suits your need. If you ever find yourself stuck between the proverbial rock and a hard place, having the necessary gear can give you a lot of advantages that wouldn’t otherwise exist. Having a dry bag in the arsenal is as important as any other travel gear, but maybe even more so because this is something that can save a lot of other gear from going bad. Sure, you may not be splashing in the water all the time but SealLine Baja dry bag will protect your gear from other external threats anyway. Overall, this has to be one product that must be on your “must buy list” before you head out to the wilderness or a fast river stream on a kayak. Don’t wait to understand the pain of spoiling your valuables, get this bag now.